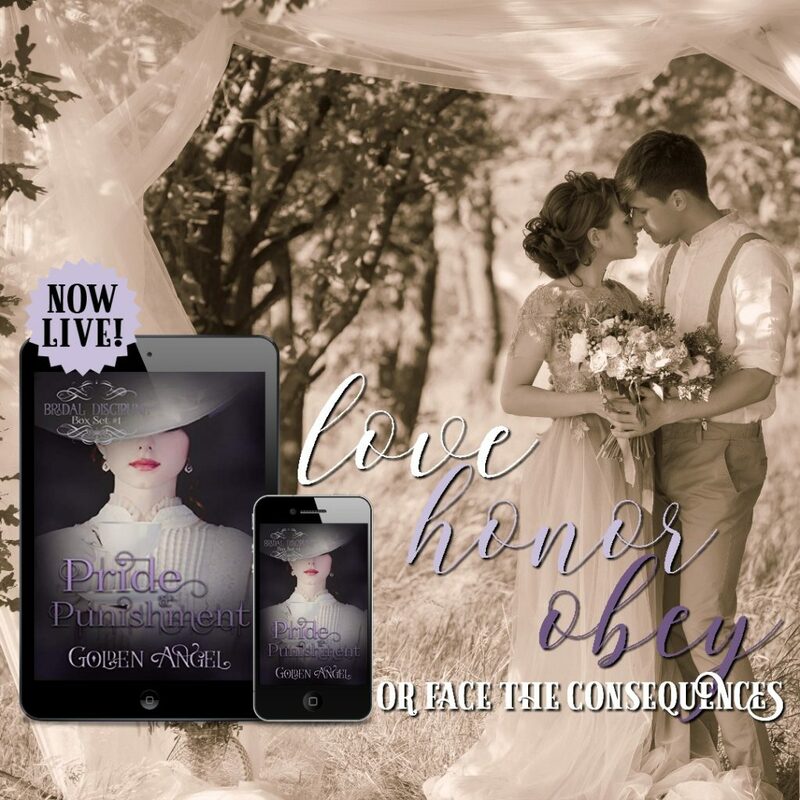 Pride & Punishment, a Bridal Discipline boxed set from Golden Angel, is NOW LIVE! Philip’s Rules: Cordelia’s determined to be the perfect wife, but her stepdaughter from her first marriage is just as determined to undermine her every step of the way. His method of correction for both Cordelia and Gabrielle isn’t what either lady expected, but Cordelia finds confidence in his support and care of her and love begins to bloom. 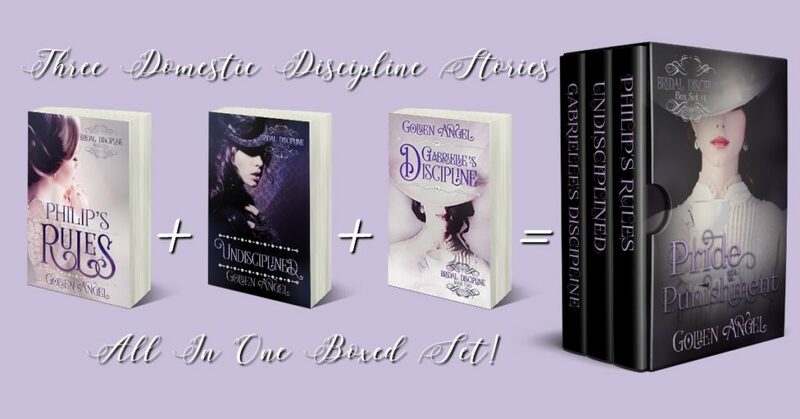 Undisciplined – A Novella: Gabrielle is used to being a burden, and when her stepmother finds a new husband she knows that’s exactly what she is to both of them. She’s prepared to marry anyone, to try and grasp for what happiness she can find, and no longer be underfoot of the happy couple. This novella was written at the request of readers who wanted to know what was happening between Felix and Gabrielle during Book 1 of the Bridal Discipline series. 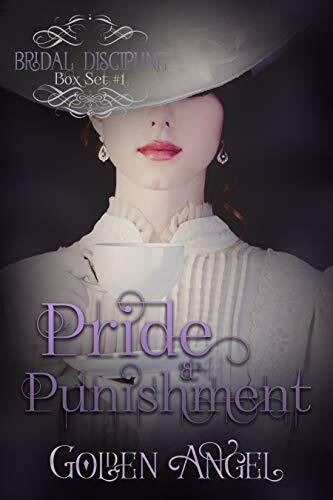 Gabrielle’s Discipline: To escape the scandal of trying to elope with an unworthy man, Gabrielle finds herself married to the man she loves – a charming rake and her guardian’s best friend, Mr. Felix Hood. He’s the third son of a Viscount, he’s darkly handsome, and he’s in love with her stepmother. Or so she thinks. These two alpha males have their hands full when it comes to their wives, but they don’t hesitate to mete out the necessary discipline required. Red-hot, passionate, and a guaranteed happily-ever-after for everyone.